4 weeks down! Ahh, I can’t believe how fast it has gone by! Monday: This week, we had to observe dinner meals, which get served starting around 4:30 pm and then the mealtime ends around 7. Because of this, we changed our hours around for a few days this week. So on Monday we came in around 11 and planned to stay until 7. 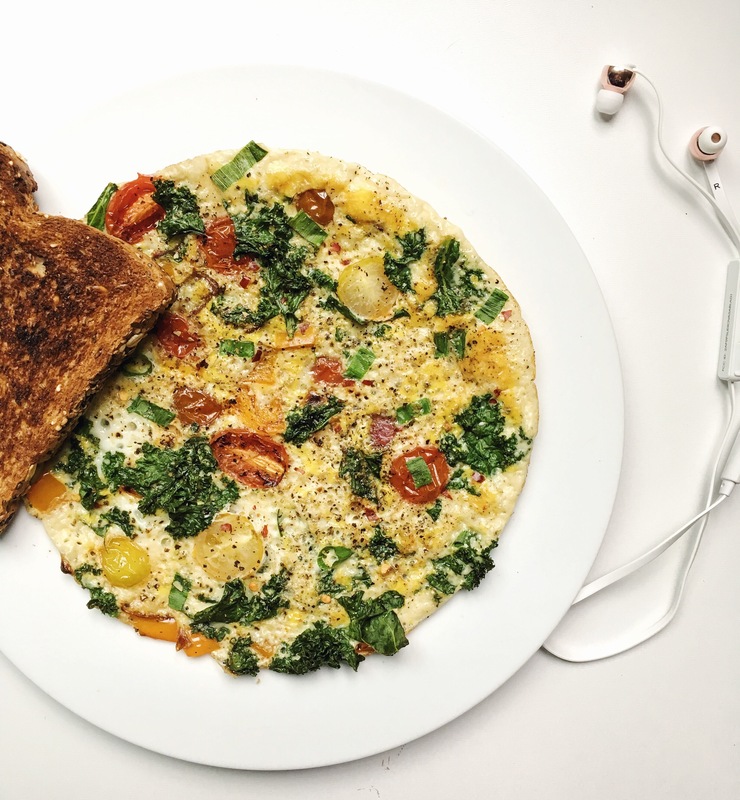 It was some nice to wake up a little later than usual, walk to the gym for a workout, and take my time making breakfast and showering before heading out to the hospital. After arriving and catching up on e-mails, we did a lunch mealtime observation on the Cystic Fibrosis floor before another project progress meeting with our project supervisor. Everything was on track! After that, we did some admin work and then observed on the CF floor again for dinnertime. Tuesday: We came in for the usual time (8am) today because Tuesdays are our half days where we go to class at Ryerson in the afternoon. We observed once again, the CF floor at breakfast and then did some calculations of our data and some presentation prep for class before heading out. In class, we had a really interesting presentation from a dietitian about end of life care. She’s an Oncology RD at another hospital in Toronto and works with patients receiving palliative care. She talked all about what it’s like working in that environment and I found it all quite fascinating. After that, we had our own presentations prepared on specific pieces of legislation that we’ve had to read. After class, some of the other interns and I headed out for dinner at an Italian place close to Ryerson, called Scaddabush. We had so much fun chatting outside of the hospital and enjoying some good eats. 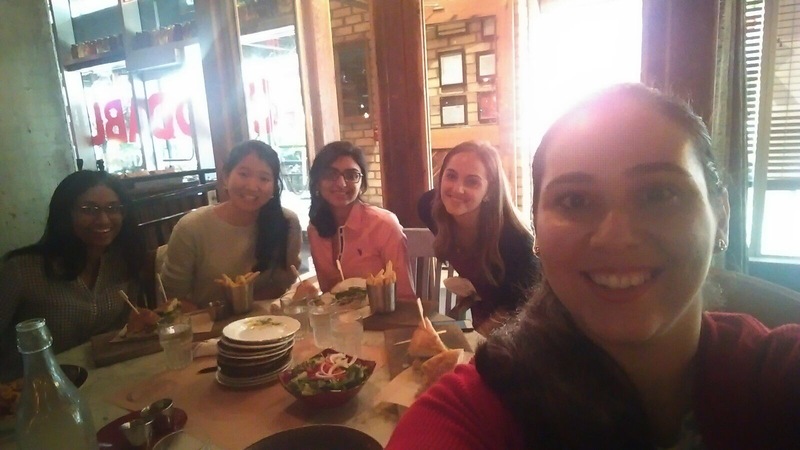 Although we talked for hours, we agreed that on our next outing we’re going to enforce a “NO NUTRITION/INTERNSHIP TALK” rule! We do enough of that every day, and we found that in order to get to know each other better we need to talk about more than just our rotations. Wednesday & Thursday: I tied these two together because they were pretty much the same. We came in late once again to observe dinner mealtimes on the General Med & GI/General Surgery units and worked on our own in our office. Riveting, right?! Friday: Oh, the Friday before a long weekend. How productive can one be?! My Food Service gals and I finished up a recipe assignment we’d been working on, did some planning for next week, and that my friends, was basically it. Our lovely preceptor sent us home early so the other two girls could get on their way to their hometowns to see their families. I so wish that my Friday afternoon plans included hopping on a plane home for Thanksgiving! Two and a half months till Christmas! Since I now had the afternoon free, I made lunch at home, did some laundry, then went out on a run and wound up at Whole Foods (oops). I bought some Kombucha and a new jar of Wild Friends Cinnamon Raisin peanut butter. 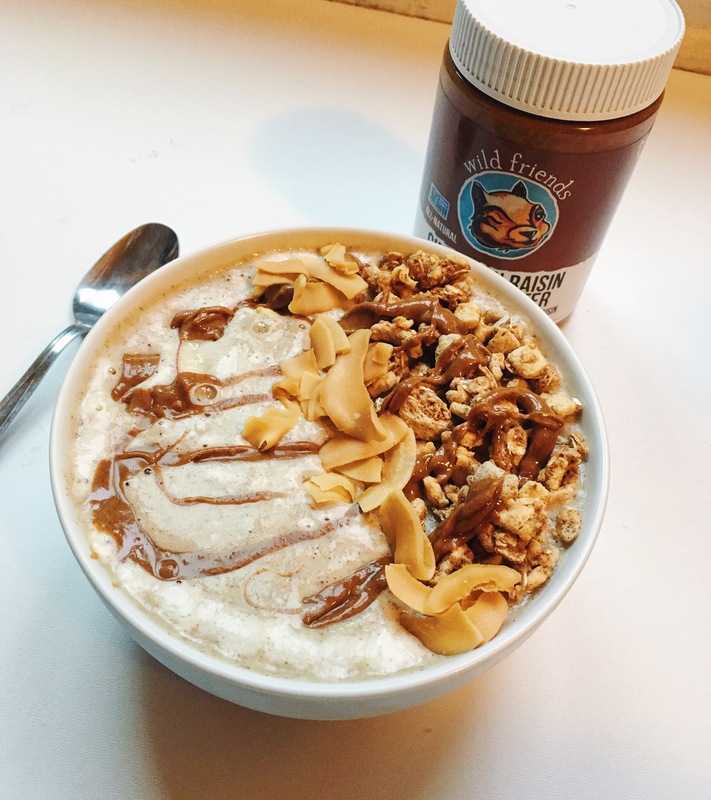 My first time trying Wild Friends – it didn’t disappoint! Saturday: Started off Saturday morning slowly with tea and a fall-inspired apple cinnamon smoothie bowl. Then I headed out on a walk with the dog that I was dog-sitting as the rain was just clearing up. After that, I did some chores around my apartment and then got ready to head out and meet a friend from university who was in the city visiting family for Thanksgiving! 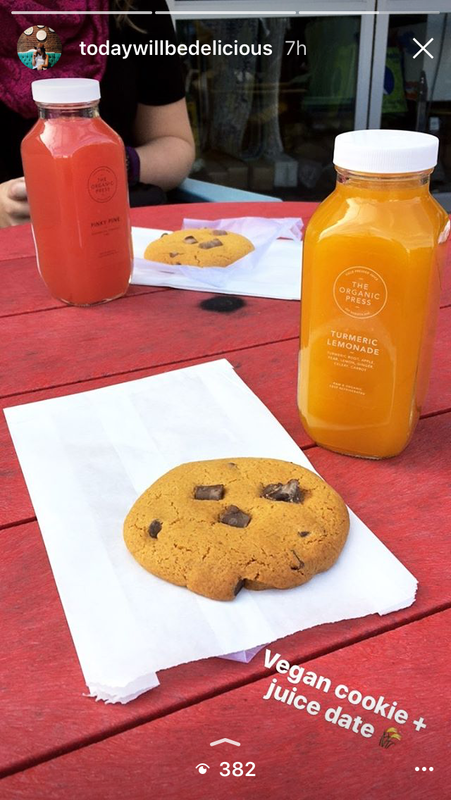 We headed to Kensington Market where we walked around for a while and then snagged some The Organic Press juices + vegan chocolate chunk cookies from Bunner’s. It was so much fun catching up and nomming on some sweet treats. Sunday: I kicked off the day with a run. It was a brisk but sunny fall morning – my favourite running weather! If I were home in Nova Scotia I would totally have been racing in one of the Valley Harvest Marathon events. Such a pretty race! Lately I’ve been working out with my new Sudio Sweden Vasa Bla wireless headphones. They are super stylish (love the rose gold accents) and the wireless-ness is super handy. *If you guys like them, you can get yourselves a pair for 15% off using my code “magee15”. Then I hung out at home for a bit, getting some chores done before my boyfriend came home from working away all weekend. 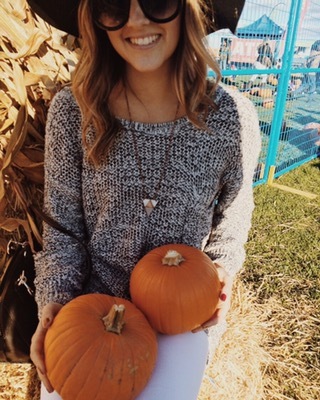 After he arrived, we hit up the local Pumpkin Festival! After arriving, we soon realized that we were the only adults at the festival without children.. we made the best of it though and picked out some baby pumpkins, and maybe a mini pie or two. When we got home, we headed to the closest grocery store to pick up ingredients for a makeshift Thanksgiving dinner! Yup, we had stove-top stuffing. We also made some garlicky green beans, a cheese/pepper jelly plate with some nice Italian bread, squash soup and mini pies + ice cream for dessert. It sure wasn’t mom’s turkey dinner, but it was nice to do something! How was your Thanksgiving dinner? Did you spend it with your families? Did you eat turkey? Let me know in the comments :).